This trifecta of blue hues draws inspiration from the crisp colors of California's coast. 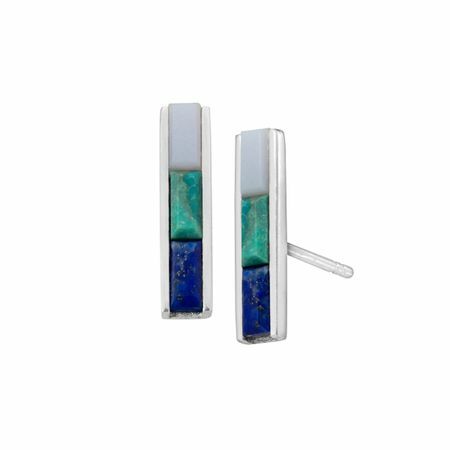 Compressed turquoise is bordered by natural chalcedony and lapis in a vertical setting of sterling silver. Earrings measure 9/16 by 1/8 inches and feature posts with friction-backs. Pieces come with “.925” sterling silver quality stamps as symbols of guaranteed product quality.